The WISH LIST - givekidsadreams Webseite! 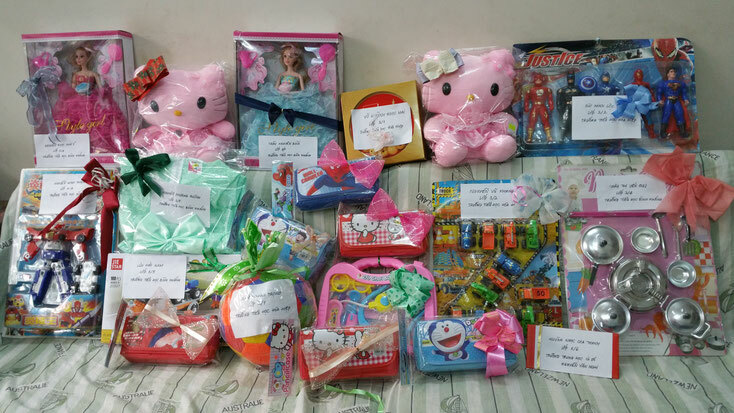 The gifts for the kids in Can Gio were planned for Christmas. 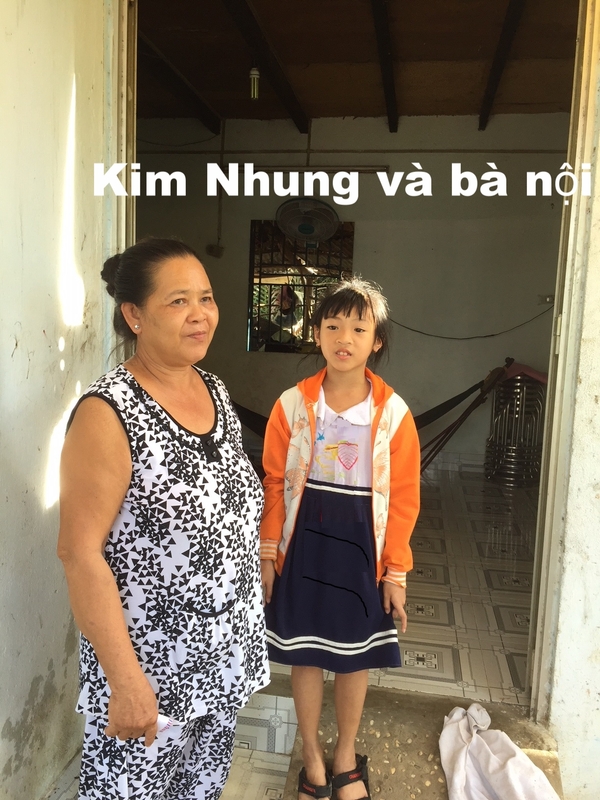 Due to the unpredictable storm development of typhoon Tembin heading towards South Vietnam, Mrs. Ninh Hong and Mrs. Ngoc Anh postponed their visit to last Thursday, January 11th. It was difficult to make an appointment with the teachers because both women work full time, they could only arrange their schedule for the visits on weekends, but the schools are open during the week. The women want to get to know more about the kids, their social environment, their behavior towards the teachers, their friends, because the Greenleaves program supports motivated students not only to achieve academic sucess but also to further their social competence in order to let them grow into self-determined and responsible individuals. This time, the women were traveling by scooter - the most widely used means of transport in Vietnam. 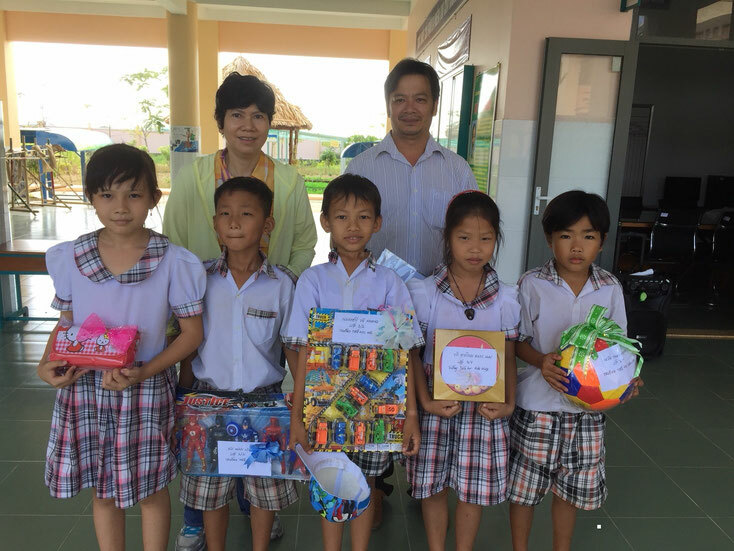 In the morning, gift distribution at the elementary school Bình Khánh, then at the elementary school Hòa Hiệp. Lunch break in Hòa Hiệp. 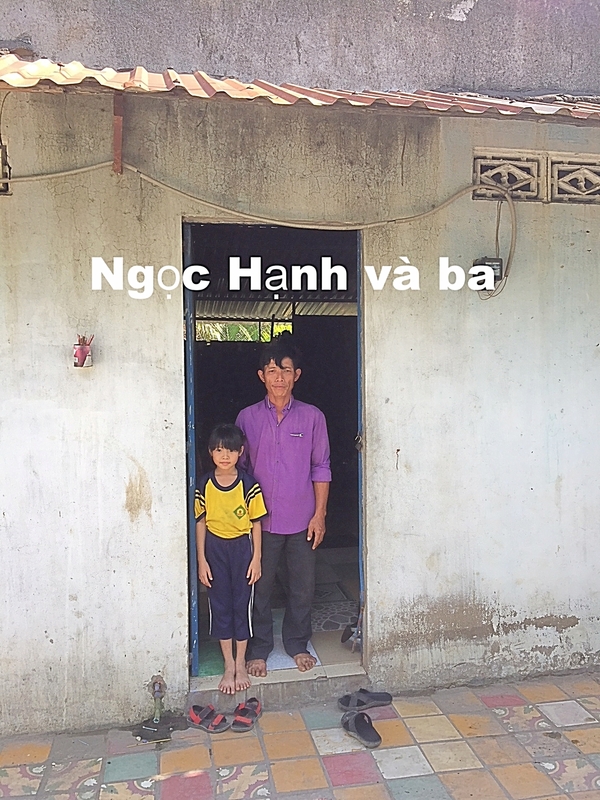 Back to Bình Khánh to visit the families of the students who have applied for scholarship. Bình Khánh is only about an hour's drive from Saigon and is within easy reach, but the one hour drive to Hòa Hiệp was very exhausting as the roads are poorly built and full of potholes. But when the women saw the happy faces of the children, the fatigue was "gone with the wind". 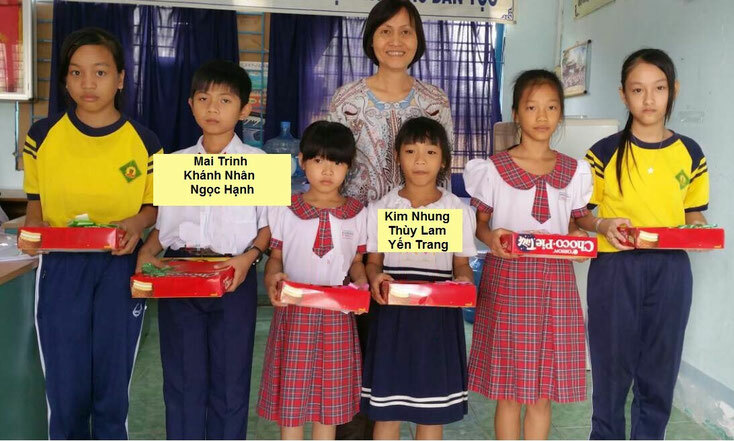 An anecdote: The women also wanted to bring gifts for the 5 scholars of the language school Dong Du. 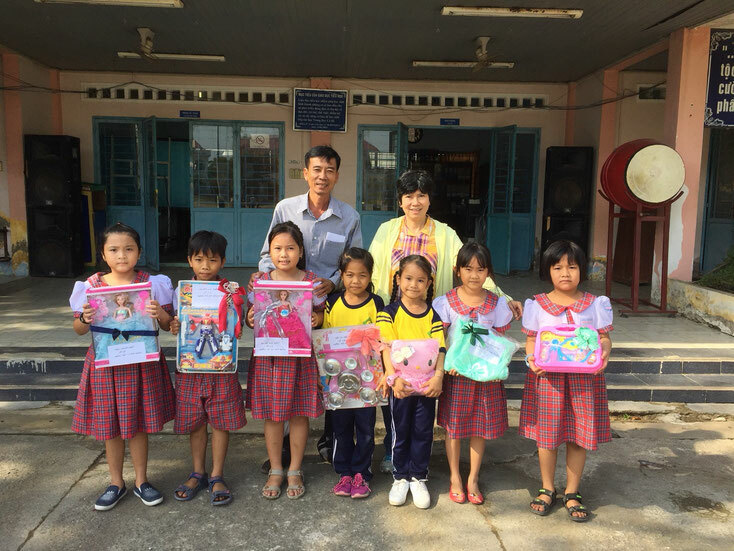 On the lists were 3 male names; one unisex name; Dương Hoàng Mỹ is a feminine name, so they bought 4 pencil cases with Doraemon motif and a red with "Hello Kitty" motif . Unfortunately, the fifth child was a boy. When he received the gift, he was frustrated: "My life is ruined !!!". The women had to apologize deeply and suggested that he should give the gift to his younger sister. The 6 students who have applied for the Greenleaves scholarship come from extremely poor families. They are exempted from school fees, but their parents still have to pay additional fees for books, sheets, uniforms, drinking water at school, and so on. 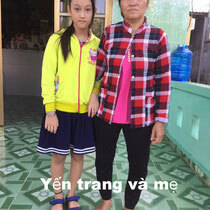 Phạm Thị Ngọc Hạnh and her 3 siblings are still at school age, their mother passed way 2 years ago, their father rides motorbike as Uber to get by for living. She looks like a first grader, although she is already in the 4th grade. Huỳnh Thị Yến Trang is also a half-orphan. 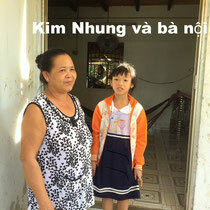 In Huỳnh Thị Kim Nhung' CV her father's profession was mentioned as "freelancer". When the women visited her home, they discovered that "freelancer" means that the father has no permanent job, and as a result, can not take care of the family. 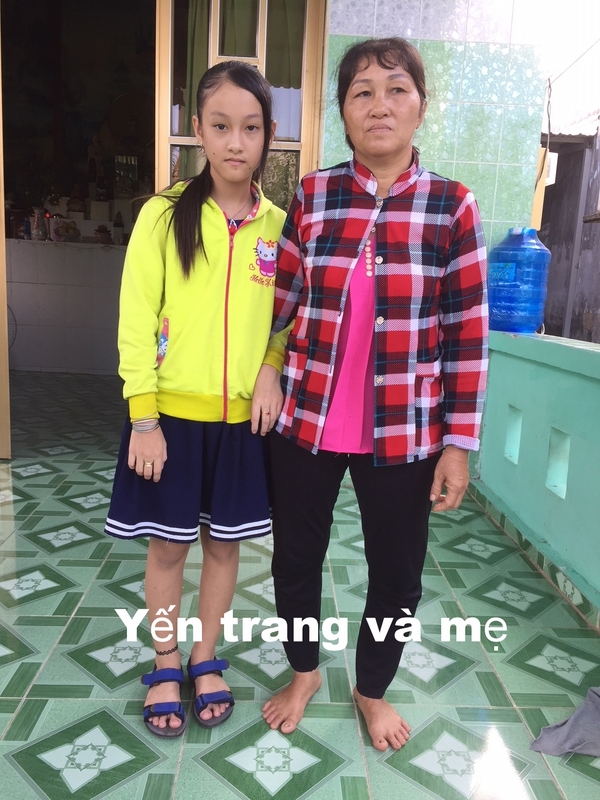 Nhung lives with her grandmother. Huỳnh Khánh Nhân's father is also a "freelancer", his mother works as a seamstress. 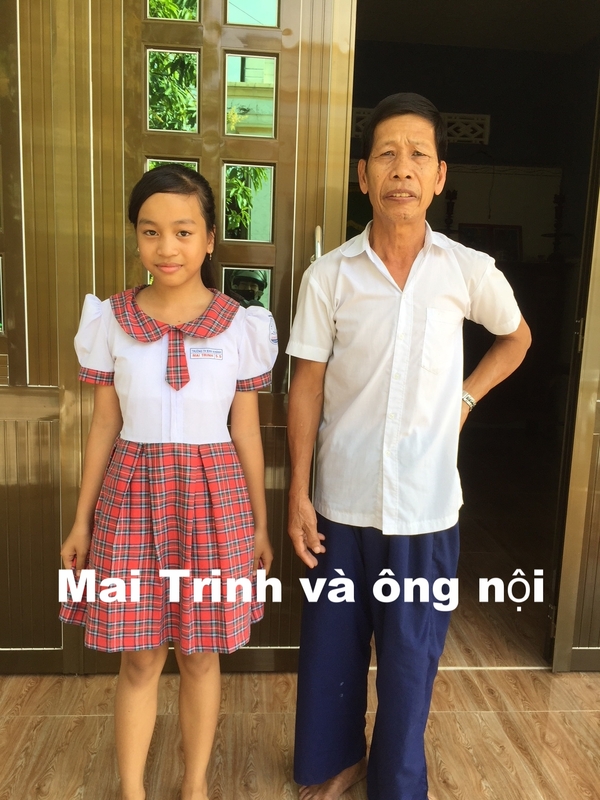 Nguyễn Mai Trinh's father passed away 6 years ago, her mother works very far away, she and her older sister live with their grandparents. 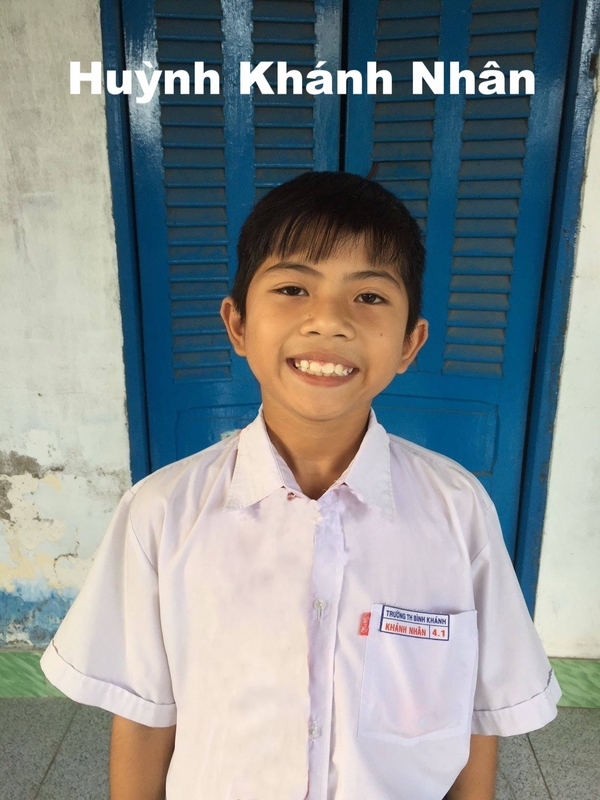 The house numbers in Bình Khánh are arbitrarily ordered, so teacher Thi had to take every student whose family the women wanted to visit with him on his motorbike, so that he could show him the way from school to his home. Back to school, and again next child's turn. After five back-and-forth shifts, Mr. Thi was so exhausted and asked the women to continue their visits at the next opportunity. Mrs. Ninh Hồng wondered if she should also photograph the landscapes, narrow streets, overcrowded ferry, undeveloped roads with huge potholes ... These details are worth more than thousands of words. Once you've been there, it's easier to imagine how difficult it is for a child to attend school under these circumstances. 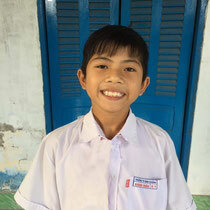 With your help, their dreams - just a football like Thanh Trọng's dream, a doll like Như Ý's dream, or the dream of Gia Thanh working as a foreign language lecturer at the university - will one day come true. A small gift for a bright, happy smile.